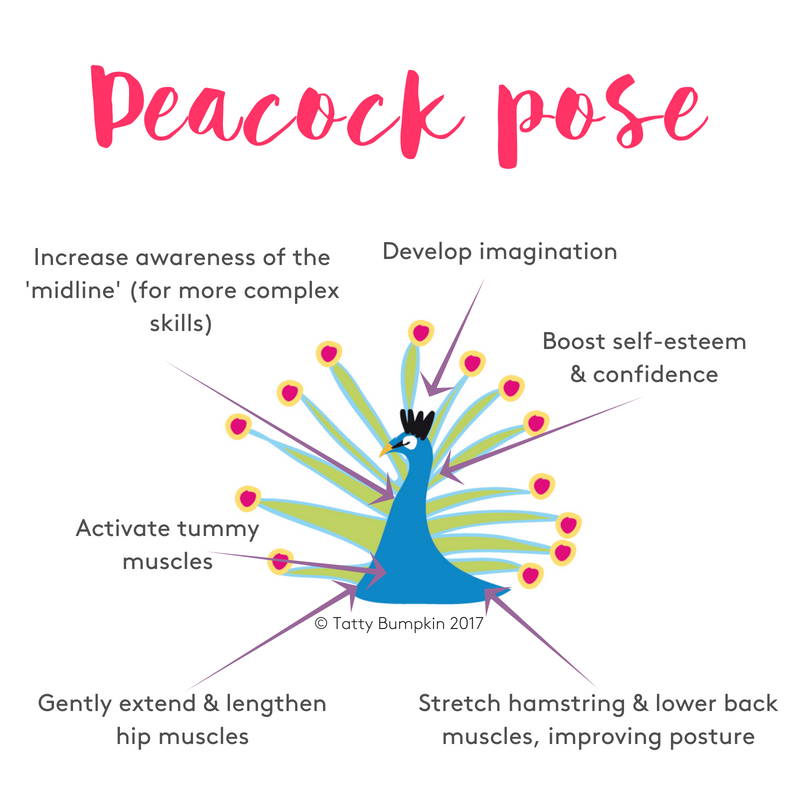 Peacock pose not only gives your child a wonderful stretch, it also boosts their self-esteem. As your child does the pose, encourage them to think about something they can do that is ‘hidden’ and not necessarily celebrated at a school sports day or prize giving. Perhaps your child has been thoughtful to friends, or family, maybe they have helped around the house without being asked, or have helped friends up when they have fallen. 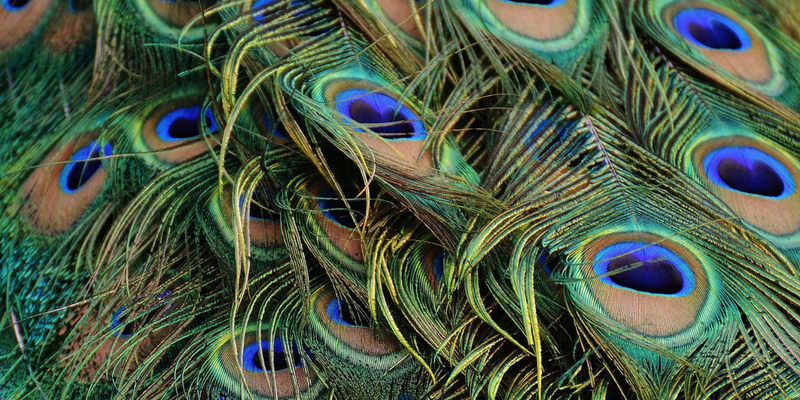 These qualities are not necessarily seen immediately, but, when shown to the world are completely amazing and awe-inspiring, just like the peacock’s tail. Rachel Stafford, special educational needs teacher and mother, suggests there are two types of people/children; the butterflies and the fireflies. Butterflies are noticed, they are brilliant and colourful with obvious talents, whilst the fireflies abilities are quieter (though no less important). Sometimes their gifts might even go completely unnoticed. Children learn from watching others, especially those whom they trust and look up to. Remember you are your child’s best playmate. Parents and carers have a chance to stretch out themselves! 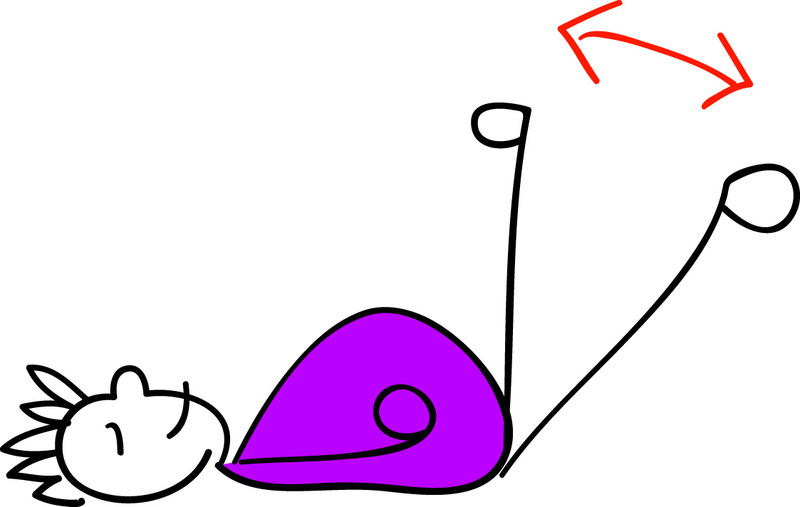 Remember though – if you have any concerns whether you should do Peacock pose always consult a health professional first and, if you feel any pain, do stop. Peacock pose can strain your back if you do not tighten your tummy muscles so please take care. Find a non-slip mat or area of carpet where you can do peacock pose together safely. Take off your shoes and socks. It is important to do peacock pose barefoot, as the weight of shoes can strain the lower back while doing this pose. 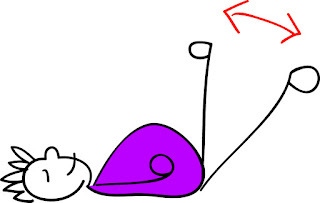 Start slowly, to ensure that your child does peacock pose confidently and safely, using the correct muscles. Guide your child to lie on the carpet in front of you. 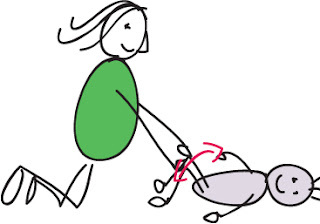 Encourage them to bend their knees up, keeping their feet on the floor, see picture. Gently guide your child’s knees out to the side and back to the middle. Do this slowly so your child has the chance to feel and learn the movement. If you child is younger, say the words ‘open’ and ‘close’ as you guide their knees apart and together. This will deepen their understanding of these words. Once your child has the idea, try doing peacock pose together. Talk with your child about how a peacock’s tail looks when it is closed and then the magical, beautiful difference when it is open. Encourage them to think of something special about themselves that people cannot see. Perhaps being kind, patient or a good friend? 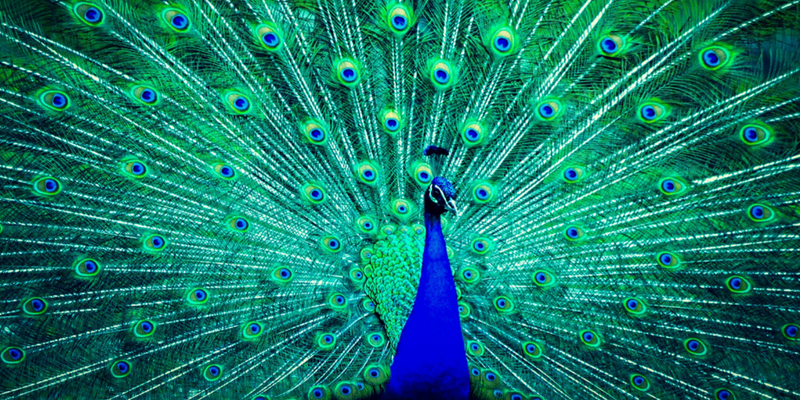 While your child does peacock pose, firstly encourage them to think about the colour of their beautiful feathers. 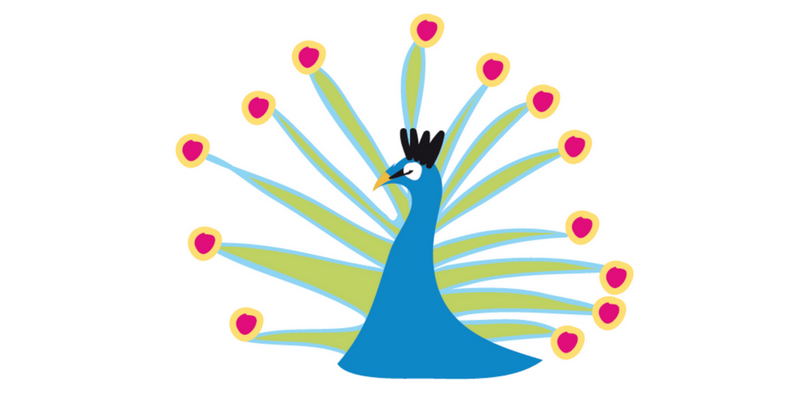 Then encourage them to think about something about themselves they like, something as beautiful as a peacock’s tail. Remember it may be something that most people do not see. Do they like their clever fingers, their wavy hair, their smile, their eyes, their jumpy legs or their kindness to their friends? The peacock’s beautiful tail is usually hidden from view. If you child is older, encourage them to think of something about themselves that is ‘amazing’ but not immediately ‘seen’. For example maybe they continue to try and persist with something that they find difficult or they realise quickly when others feel sad. At this time of year, it can be a real boost to your child to highlight their own, inner strengths – especially if they are not winning the more obvious sports cups or form prizes. As your child does the advanced version of peacock pose (with their knees straight) they will stretch their hamstring and lower back muscles. The hamstrings muscles run down the back of our thighs. From the ‘ischial tuberosities’ in our pelvis (the bones we sit on) to our lower leg bones, just below our knees. Hamstring muscles are prone to tightness, especially if a child is growing fast, because they cross over 2 joints – the hip and the knee. Tight hamstring and lower back muscles can affect your child’s overall sitting posture. This is because your child may try to relieve tightness in these areas by sliding their bottom forwards in their chair – this can result in a slumped sitting posture. In peacock pose, as your child takes their knees, or feet, out to each side and back to the middle they will be stretching and strengthening the muscles around their hips. This is great for posture and balance skills. Peacock pose gives your child an excellent chance to ‘switch on’ and strengthen their tummy muscles. As your child holds their legs in the air, and moves them out to the side and back, they will need to use their tummy muscles. In Peacock pose your child will be taking their legs away and then towards the midline of their bodies. Awareness of their midline will help your child build up their ‘body map’ or picture of how their limbs & body work together. A good body map is really helpful for more complex skills. If your child is doing peacock pose confidently, with their knees bent, they can try the pose with knees straight. Once again you may need to hold your child’s feet at first. This will give them added support and direction. Don’t raise your feet from the floor with straight knees. Instead, show your child how they can bend their knees first before lifting their feet off the floor. This movement protects the lower back. For added back support, adults can consciously tighten their tummy muscles and breathe out as they lift their feet, children will usually do this automatically. Together, carefully straighten your knees, as much as is comfortable, so that your feet are up in the air over your body. Adults: as you straighten your knees, keep your tummy muscles tight and gently breathe out – so your back is kept well supported and in contact with the floor. Do stop if you feel any strain on your lower back. 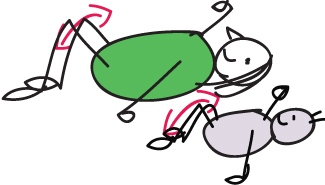 If you notice your child’s back arching off the floor as they do peacock pose, they may be putting undue strain on their back. If this is the case – hold your child’s feet as they do the pose, or suggest they do the adaptation described earlier in this post, with their knees bent. Once your feet are up in the air, take them apart a little way, then bring them back to the middle. Adults: remember to keep your tummy muscles tight and engaged, but breathe normally! Repeat the pose a few times, encouraging your child to copy you. Do not let them play with the feather on their own as they may want to put it in their mouth to explore it! It is wise to wrap tape round the bottom of the feather shaft so that it is not so sharp. Children find feathers really enchanting and are keen to explore them. Encourage your child to investigate a range of feathers of different shapes and sizes to help them develop their fine motor (hand) and eye-hand co-ordination skills. 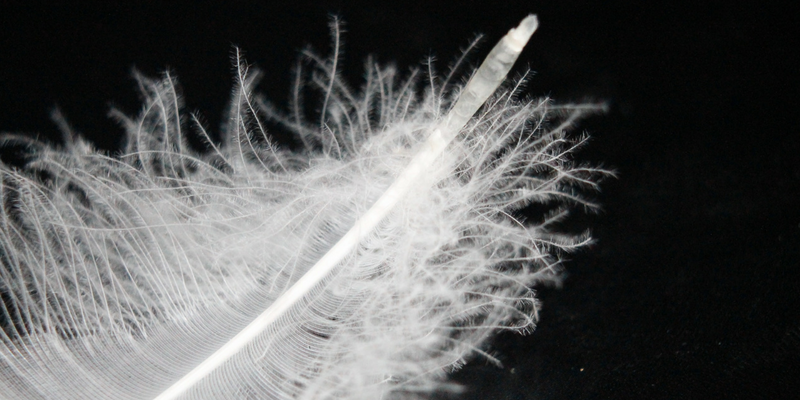 As your child looks at and feels their feather guide them to describe their feather to you i.e. is it soft, smooth, brown, white etc.? Encourage your child to take bigger breaths to blow their feathers up into the air and then catch them. As your child takes bigger, slower breaths their heart rate will automatically slow and this will help them to calm themselves. Catching feathers is a great activity to help your child develop their eye-hand coordination for ball games such as tennis. Want to join our expanding franchise family? Are you looking for a career that’s fun, inspiring and rewarding? 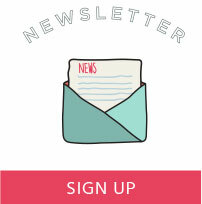 Looking to go back to work after maternity leave, but can’t face the commute? With your own franchise, you can choose to run classes at a venue and time of your choice, creating your flexible work/life balance. No previous yoga or business experience is necessary. What are the limbs of yoga and how are they used in our classes?